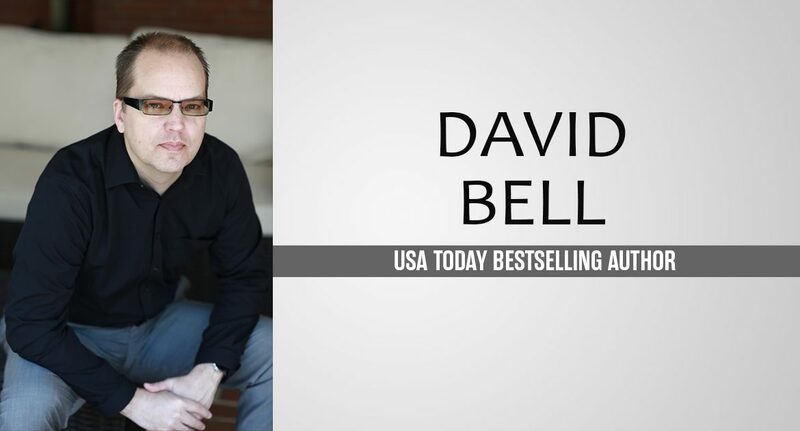 David Bell is the USA Today-bestselling author of eight novels and an associate professor of English at Western Kentucky University, where he directs the MFA program in creative writing. He won the prestigious Prix Polar International de Cognac for best crime novel by an international author. He sometimes dreams about playing shortstop for the Reds, and enjoys walking in the cemetery near his house in Bowling Green, Kentucky. I love watching movies and TV. I love listening to the Cincinnati Reds on the radio, even though they lose more than they win these days. In fact, if I weren’t a writer I’m convinced I’d be playing shortstop for the Reds. I mean…except for my complete lack of baseball talent. I also like cemeteries. The best are peaceful and beautiful. The one by my house is older and has a lot of trees and flowers. It’s a great place to walk at any time of year. In addition to being a successful author, you’re an associate professor of English at Western Kentucky University and direct the MFA program in creative writing there. How do you balance these two sides of your life and how do you find the time to do both? The two sides fit together pretty well. I have to publish to be a professor, and I have some nice breaks that give me time to write. Also, I spend all my time at work talking about writing and stories, so it all connects in a fortunate way. Your books are known for their twists and the high suspense you weave into your stories. How do you find such great ideas for your twists and how do you create such complex, compelling characters? I make a pretty detailed outline before I begin writing the book. The outline allows me to work out all the twists and turns and character motivations and make sure everything fits together. Inevitably things change once I write the book, and I really like those surprises that occur in the writing process. I figure if I’m surprised then everyone else will be surprised too. That’s a tough question, but I like to think I’m getting better as I get older. In that way, I really think Somebody’s Daughter is the best. But all the books are different, so readers can take their pick. I suggest everyone read them all and then choose! I guess I’d want to bring along books that were long and complex so I could occupy myself as long as possible. How about War and Peace, Middlemarch, and something called How to Stop Reading Long Books and Escape from a Tropical Island. How has being a bestselling author changed things for you? Do you still write the same, or is there more pressure now? Writing the books is always basically the same. It’s a writer alone with a story. The rest of the stuff doesn’t matter. My day-to-day life hasn’t changed that much. Every morning I wake up thinking the elves have visited over night and written the book for me. They haven’t showed up yet. Let’s talk about your newest book, Somebody’s Daughter. Can you tell my readers a little about it? A happily married man gets an unexpected visit from his ex-wife who he hasn’t seen in ten years. She informs him her daughter is missing, and the child is his, conceived shortly before they separated. How can he resist trying to find the girl? Where did the idea come from and what inspired you to write it? Most of us don’t want to see our exes anymore. But what if that ex showed up promising something potentially wonderful—a child you never knew you had—but also something terrible—that child is missing? How would any of us respond? What were the hardest and easiest scenes to write? The whole book takes place in one night over twelve hours. And it has three points-of-view. So the biggest challenge was juggling where everyone was at what time and what they were doing. A lot of moving pieces on the chessboard. And all of them have a secret. What are some of the themes in Somebody’s Daughter? That the past is always with us, and we can’t escape from it. That secrets can tear even the closest people apart. What actor/actress would you cast to play Michael and Felicity? For Michael…how about Kit Harrington. Then everybody will watch and love him. For Felicity…I’m afraid I don’t know many actors that young. Can we get a time machine and cast Elle Fanning or Emma Watson or Elizabeth Olsen? What do you think readers will love about Somebody’s Daughter? I think they’ll love the fast pace, the twists and turns, the revelation of long-buried secrets, and the tight, twelve-hour time period. But will Michael be able to rescue the little girl in time? Amazon.com | IndieBound | Barnes and Noble | Powells | Bam! Great Interview. I look forward to reading the book even more now! !